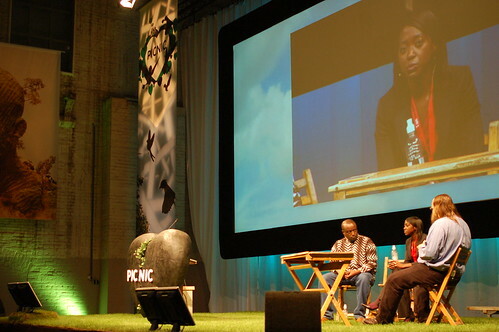 Africa is brimming with innovative people, projects and organizations. The fact that I’m standing here today proves this out – you see, I’ve been writing about those stories for the past 3 years. 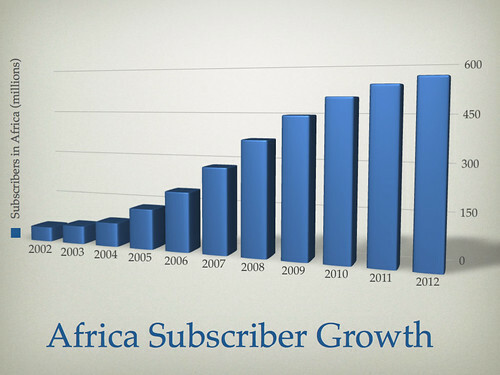 Some of you are already familiar with Africa’s mobile stats, but not everyone is. Let’s run through some numbers, and take a minute to really appreciate the staggering growth of just one industry on our continent. Look at the diversity in penetration rates among countries, just in Africa. It’s good to remember that when we speak about “mobile phones in Africa” that not all are created equal. How fast has it grown? The Democratic Republic of Congo, population 60 million, has 10,000 fixed telephones but more than a million mobile phone subscribers. In Chad, the fifth-least developed country, mobile phone usage jumped from 10,000 to 200,000 in three years. 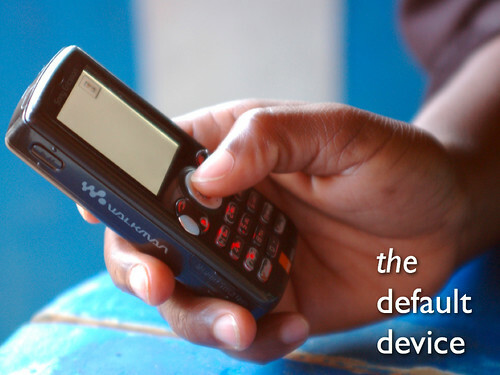 MPESA – This is what happens when the rest of the world ignores your need for a payment system. One of the golden children of Africa’s mobile revolution, when anyone brings up a successful mobile service in Africa. It works, and we’re all extremely happy to have the idea of mobile micro payments piloted and tested by Safaricom, but it also promotes a carrier monopoly in an industry AND continent that is crying for a real payment solution. Celpay – Zambia – An innovative payment solution that allows consumers and businesses to complete cash transactions from their mobile phones. CelPay eliminates the problems that accompany dealing in cash visits to the bank, waiting in lines, counting and recounting money, fear of theft, and forgone interest payments. Instead, consumers with CelPay can use their mobile phone to do anything they would with cash, thanks to a payment system that works like a bank account. Ushahidi – Citizen reporting during a crisis (now an open source project). Ashifi Gogo created a way to use SMS to authenticate drugs in Ghana, a system that simplifies and decreases the cost of doing this and that can be replicated anywhere in the world. Hybrid wind and diesel turbine systems for powering cell phone base stations. A free service for farmers in West Africa to see local agricultural market prices around their region. It enables farmers and traders in agricultural commodities in Africa to conduct business through the use of SMS. Senegalese company Manobi, which operates online systems for businesses in the developing world, first launched the trading platform for farmers and fishermen in the west African nation, and says it has signed up 40,000 customers there. Farmers can access the information on a web-based trading platform via Internet-enabled phones, or can request prices and make trades via SMS, or text message. Projects, products and services created as secondary services by individuals and organizations all over the continent. A cell phone operator in a remote African village where competition is tough, offers his customers some privacy, by allowing them to try out a cell phone, tethered to a long wire. Shows an individual using his free time, and trying to create applications that are value added and will make him money. He epitomizes the smart, young entrepreneurs of the continent. The Ethiopian government instituted SMS filtering services, which caused some enterprising Ethiopians to launch Feedelix, which is an SMS-like client that supports Amharic characters. The Java application then uses the ability of many phones to transmit data via GPRS through internet protocols to mimic SMS. There are challenges to in Africa too, where there are higher rates of non-literacy, or where they don’t speak the language available on their handset. Last year in Ethiopia, some guys got together and developed 200 Amharic language characters that they used to develop a phone book, message and phone settings in Amharic. Most of the time this takes the simple form of a car battery, but you’ll also find enterprising people using other methods (legal and illegal) to run business that only do this. The truth is that there are some very interesting, and surprising, developments coming out of Africa. Every culture modifies use or the device itself to meet local needs – this is no different in Africa, and we’re seeing that evolution happen right before our eyes. Here’s one more compelling thought. The challenges brought about by bad governance, poverty, low bandwidth (all the negative things you associate with Africa) also provide an incredible opportunity. The developers who are coming up with solutions in the continent, the ones who are writing software or hacking hardware, are creating for some of the harshest environments and use-cases in the world. 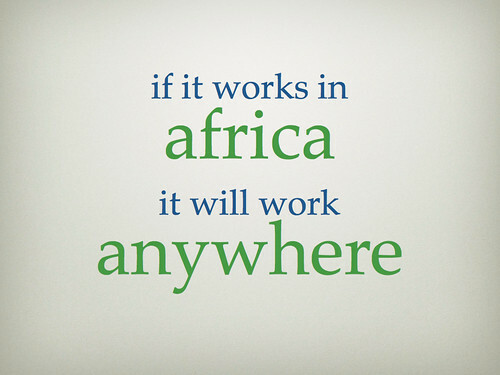 If it works in Africa, it will work anywhere. Ethan has just finished giving an excellent 20 minute talk on why people need to start paying attention to Africa. Not for Africa’s good alone, but for their own good as well. One of the comments made was that the African reaspora will be the ones who rebuild Africa. Those are the Africans who have left and are now coming back with money, purpose and drive to see change happen. Binyavanga Wainaina and Helen Omwando represent that group, and are up on stage having a conversation with Ethan, discussing what is really going on. – Ethan explaining how having such a high profile, undistributed means of transferring money sets up the receiver of the funds as a target. More tomorrow at the day-long event on Africa – I go on stage at 10:30 and will be talking about how mobiles are being used in Africa. I’m really excited to be almost on the airplane today as I’m heading to Picnic to take part in the festival. I’ll be speaking on Friday, the day focused on “Surprising Africa” (as in, you’d be surprised at what type of innovation is coming out of Africa). If you take a look a the lineup of speakers it’s rather impressive. In fact, it’s a little depressing realizing that I have to go on stage right after the incomparable Binyavanga Wainaina. 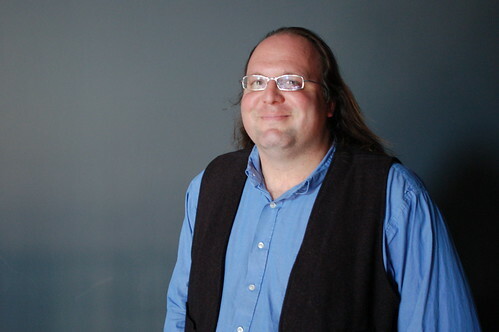 I had the pleasure of seeing him talk at TED Global last year in Tanzania, and he was even better there than in his normal writing. Besides Binyavanga, I’m also looking forward to hearing Ethan, Gisel Hiscock from Google, and Younghee Jung of Nokia. Tomorrow evening (Wed, 24th at 6pm) a couple of us involved with tech in Africa are getting together for an Ethiopian dinner at the Abyssinia restaurant. If you’re free and want to come hang out for a couple hours, we’d love to have you.